For my birthday, back in November, Boyfriend bought me this amazing poster from neighborhood company Two Arms Inc. 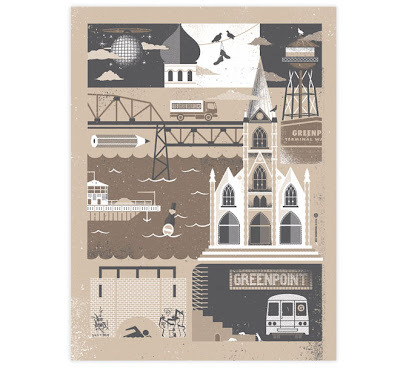 It depicts the best neighborhood in Brooklyn - Greenpoint - and fits in so well with our warm white and chocolate living room. Love it.